I have updated this post with new sets of picture and recipe instructions by adding some rice flour to improve the crispiness of the crust. 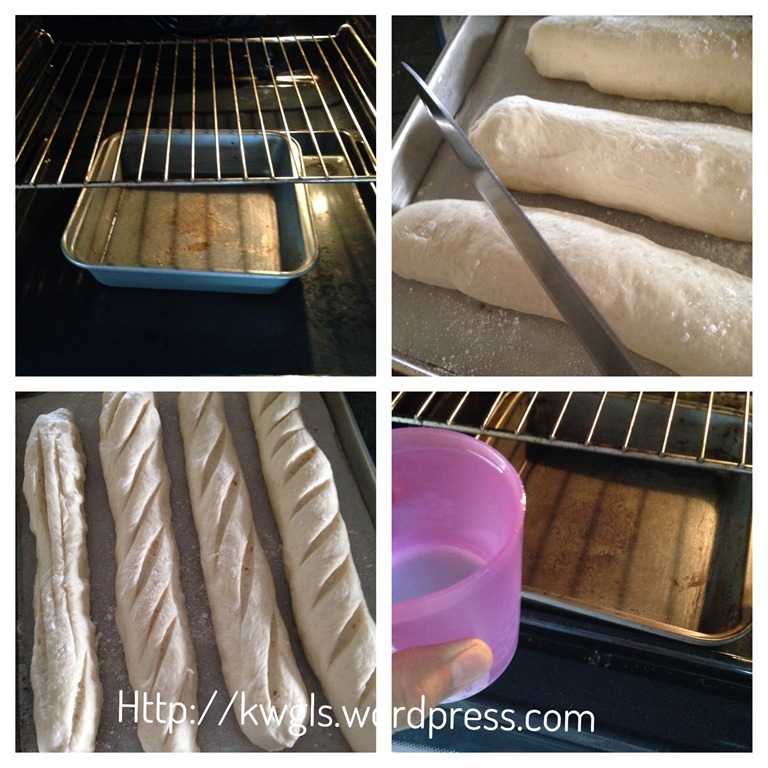 The dough is a very sticky dough and you may not be able to knead by machine.. 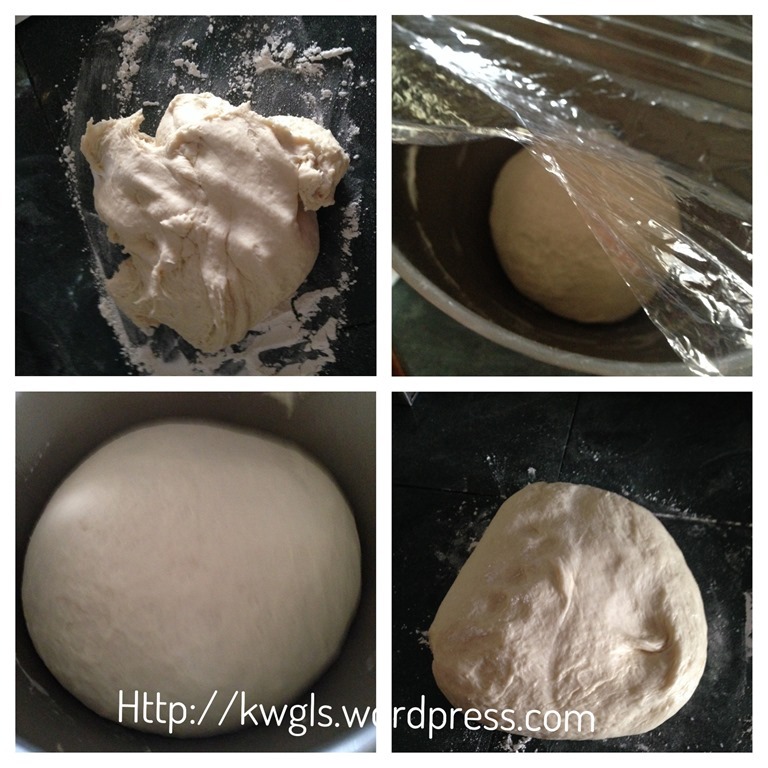 If that is the case, you will need to transfer out and knead it until a dough is form. In the new set of pictures. 3 proofing were done meaning, 1st proofing until double the size, punch and do second proofing until double the size, punch and do third proofing until double the size before shaping. For this type of bread, the longer you let it proof, the better and the hole structure will be better. However recipes still requires you to do 2 proofing only. 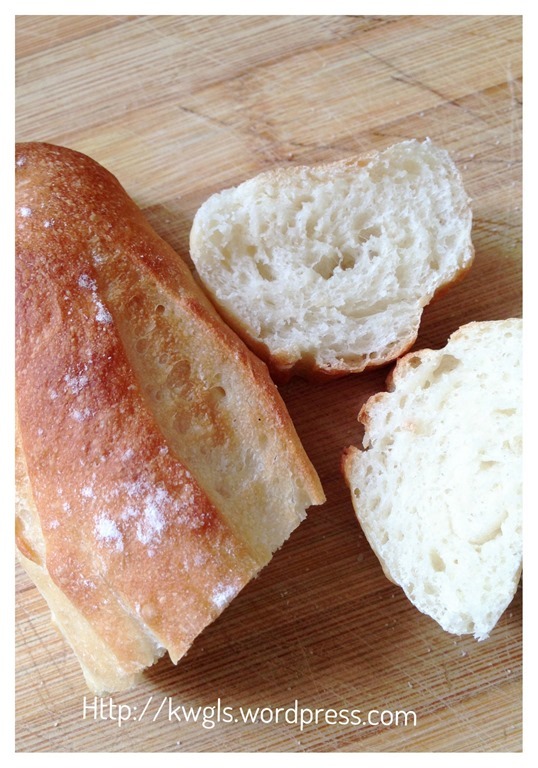 I issued the post on Brioche yesterday and I have decided to issue another French Bread – Baguettes today. 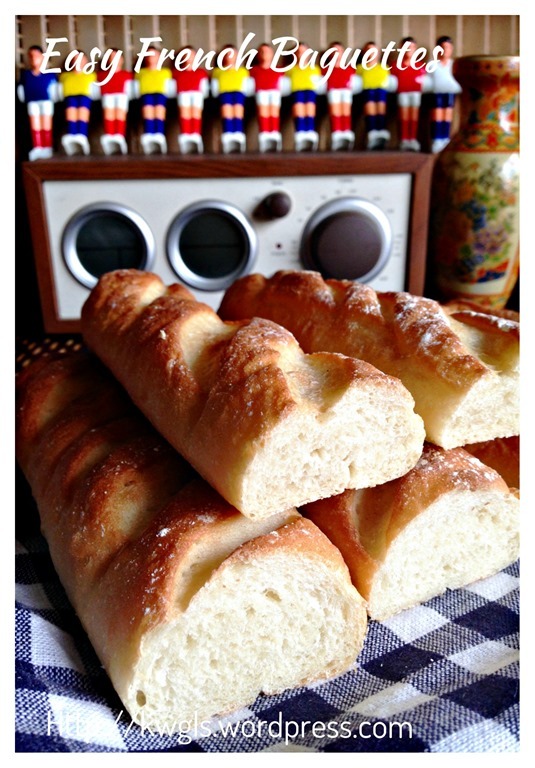 No special reason but just to add to my list of bread recipes. 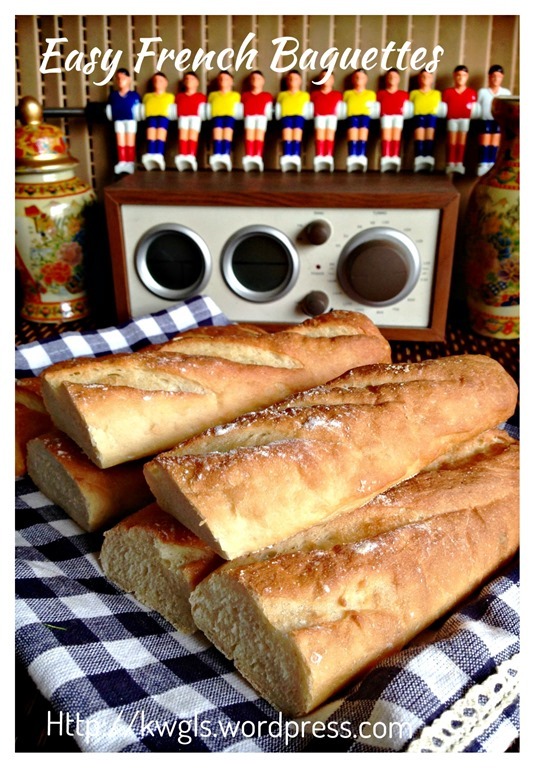 As compared to brioches, baguettes are more common in Singapore and Malaysia. Probably, for most readers, when talked about baguettes, the very first thing that comes to their mind will be curry chicken… Hmmm, it has always pondered in my mind that why baguettes are connected to curry chicken, why can’t they use other bread to dip the curry chicken gravy… Is it because that baguettes were hard, therefore, it need a flavourful broth to dip in? But in the very first place, why do they need to buy this bread? 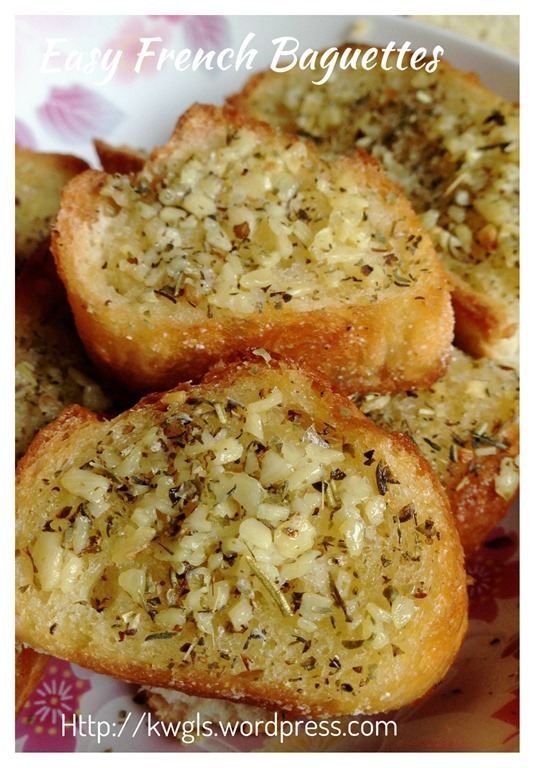 Setting that puzzle aside, I do like to dip my baguettes in my curry chicken and besides this, I use baguettes in the preparation of bruschetta, garlic breads and for soups and etc.… I love its crispy exterior and softer texture in the inner bread. 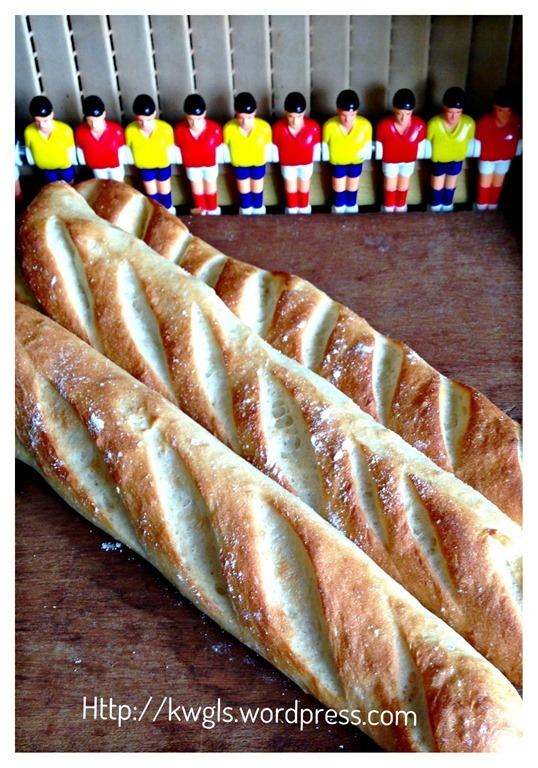 This is another faster recipe obtained from Mini Baguettes of www.finecooking.com. It did not requires overnight proofing or artisan style of bread preparation, it just requires exactly the same method of preparation like other breads. The outcome is satisfactory though I have hope that there are more airy holes as in some other baguettes that I have tried. Taste and texture meet expectation. Put all dry ingredients together. Make a well in the centre, add the lukewarm water. Stir until it make a wet paste. Use the dough hook to knead the dough in a stand mixer until the dough starts to pull from the sides of the mixing bowl. It will takes about 5-6 minutes. 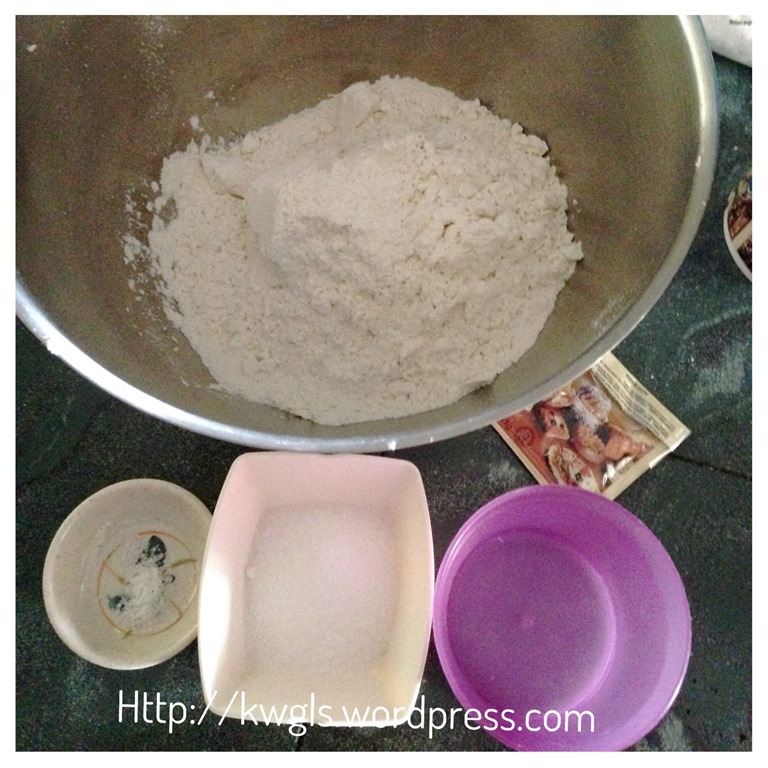 At times the dough can be rather wet and cannot pull from the side of the mixing bowl, you will need to transfer to the lightly floured surface to do the kneading by hand. 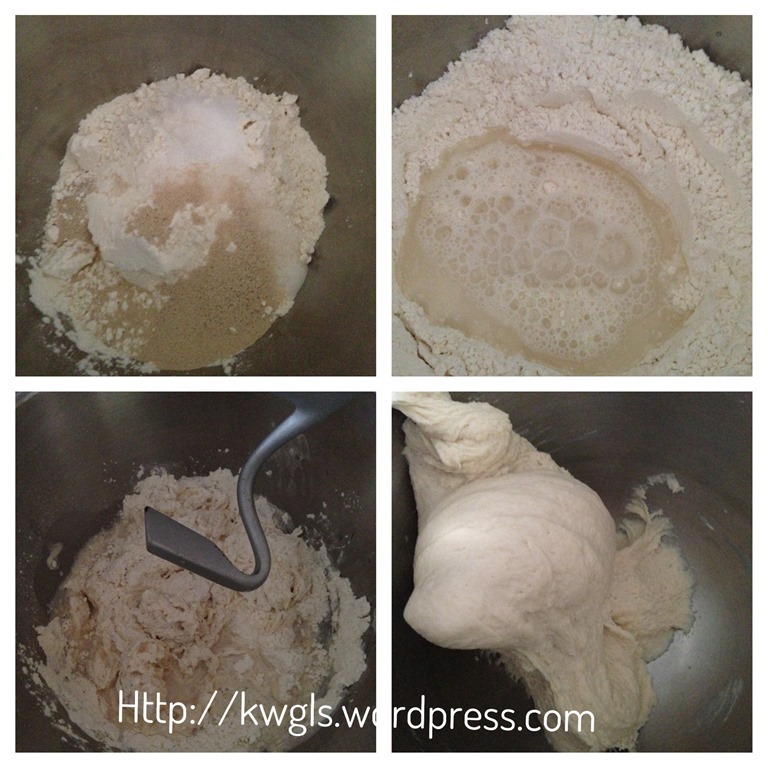 Transfer the dough out onto a lightly floured surface, knead for 1-2 minutes. Shape it into a ball and let it proof in a greased bowl until it is twice the size. Depending on the weather, it can range from 30 to 45 minutes or more. Cover the dough with a clingy wrap or wet towel. 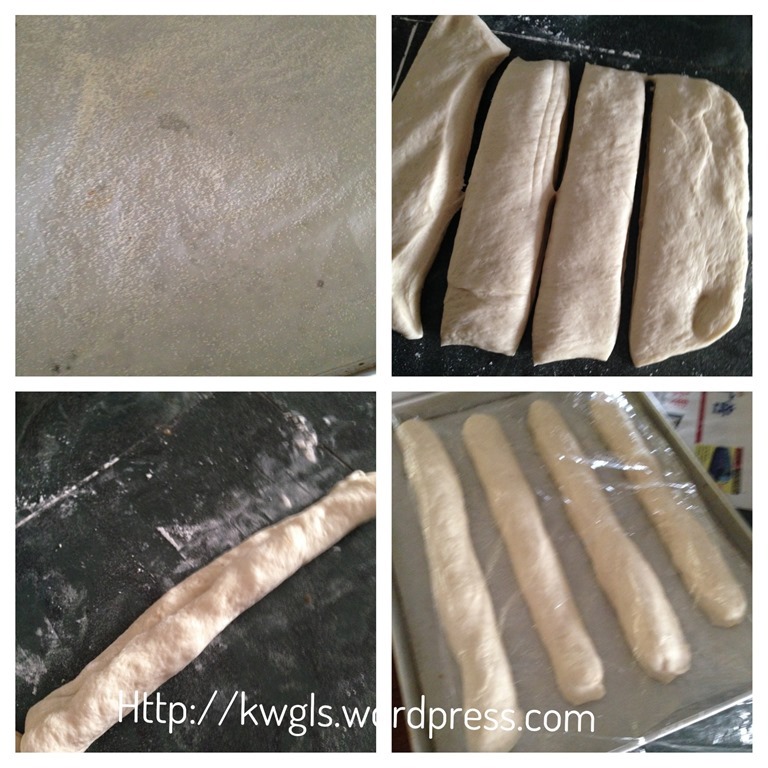 Once the first proofing have done, transfer the dough out to the floured surface, lightly knead for 2-3 minutes. Meanwhile, heat the oven to 260 degree Celsius. Position some baking tray on the bottom and add 3-4 ice cubes to generate vapour during the baking process. Alternatively, you can use the water spray water to spray some water mist inside the oven before the dough are send for baking. Once the proofing is ready, use a sharp knife to score the dough diagonally with about 1 cm deep. Note that the knife have to be very sharp to cut the pattern. 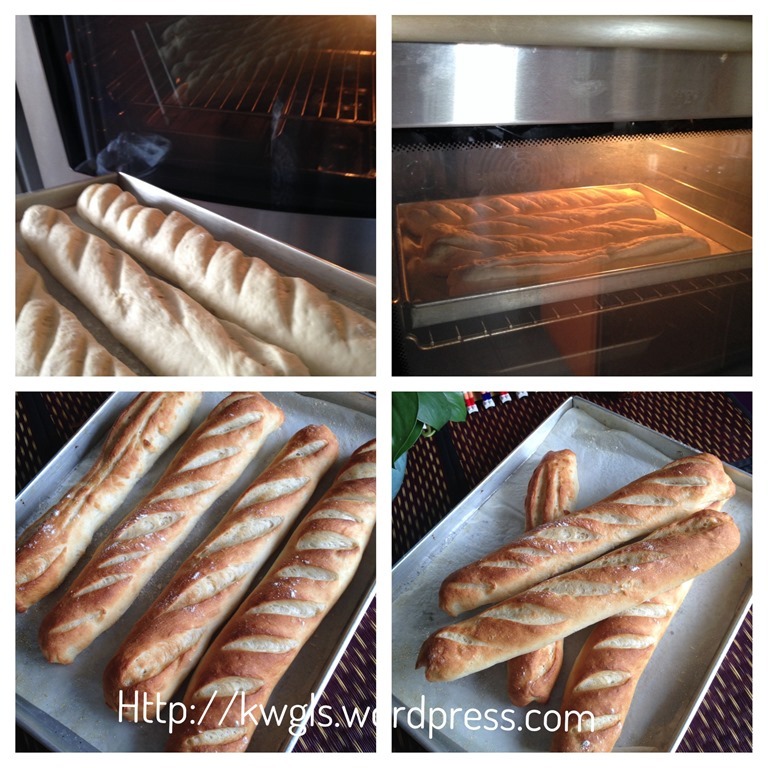 Quickly put the baking tray with proofed baguettes inside the oven (one rack above the baking tray with water), close the oven door, reduce the oven temperature to 245 degree Celsius and baked for 20 -25 minutes until golden brown. Hopefully you can fully understand the baking instruction as my pictures are not complete. Pardon me for this. 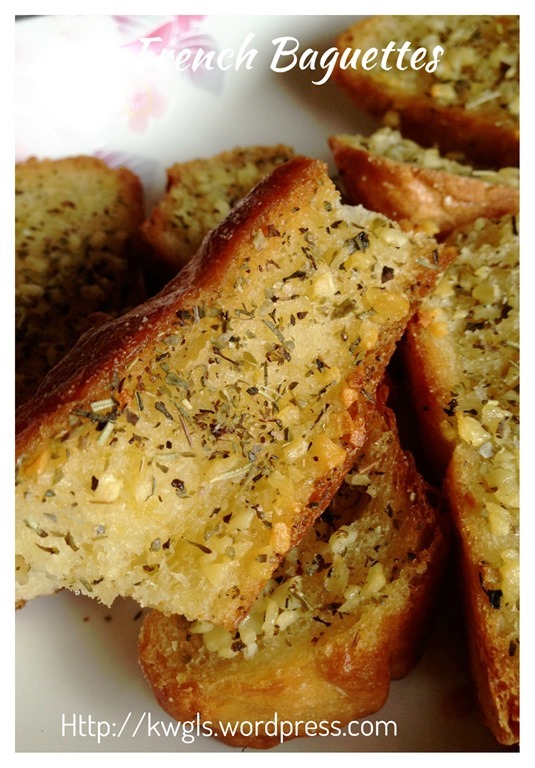 There are many recipes in the net and this is the easier recipe, do give it a try and see if this is what you are looking for. If you want a crispier outside, you can extend the baking hour but do watch out for the colour tone. I do hope that you can get much bigger holes in the interior that I do.. 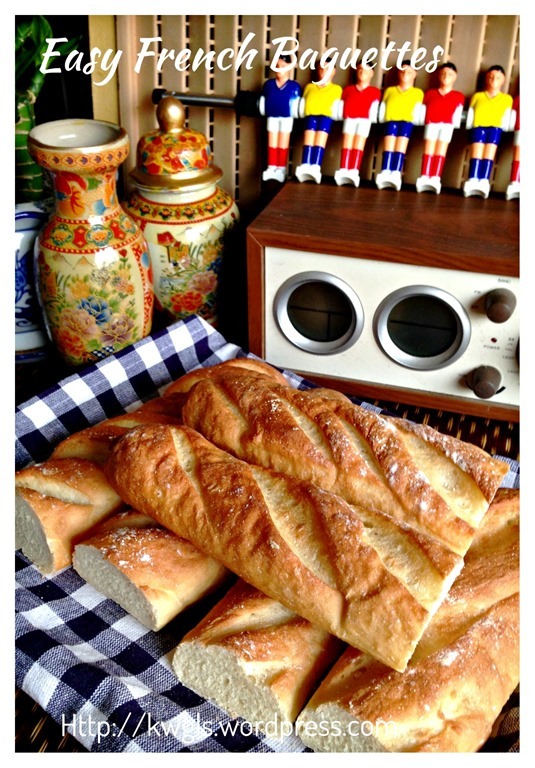 This entry was posted in Breads and Pizza, Food Preparation Series and tagged 8, Baguettes, GUAI SHU SHU, Guaishushu, kenneth goh, postaday, 法式长棍面包, 法式尖头面包. Bookmark the permalink. Great Post ! I have tried making the french bread using some Youtube’s recipes but my attempts weren’t turned out well (Not soft inside). I will try your recipe since it is very clear. Btw, may I know what is polenta or semolina flour ? What is the purpose of adding them and where can I get them in Singapore? Polenta is cornmeal and semolina is another type of flour. If you are preparing for your own consumption and not for picture taking or competition or whatever, you can safely omit this and use plain flour instead. It just ensures it will not stick to the baking tray.. Reasons unsure why it is used. You can get semolina easily in the Indian provision shop or phoon huat. final 5 mins baking without tray on the oven rack is in what position? Upside down or face up position?